Though it may be a worst-case scenario, residents living near a Wheatfield landfill may be unwitting victims of Love Canal. On WBFO's Press Pass, Dan Telvock of Investigative Post discusses the history of the landfill, which at one time contained hazardous material from Love Canal. Now, there are concerns that some of the waste may have migrated onto nearby residential properties. 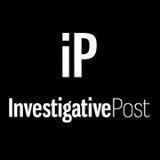 Dan Telvock of Investigative Post discusses his most recent work on WBFO's Press Pass.